I am a compulsive book buyer and consequently my TBR is out of control. As a result, I will, for the time being, only be reviewing books that I have personally purchased, requested on NetGalley, or for which I have agreed to participate in an organised blog tour on behalf of one of the tour hosts with whom I regularly work, or via requests direct from publishers. Please note, for the time being I am not taking on any review requests or blog tours. You can find more information here. If you are an organiser of blog tours or a publisher and would like to add me to your list of potential hosts, I would love you to get in touch. My reading tastes are wide and diverse and I will give most things a go, but my favourite genres are literary fiction, crime & thrillers, classics , historical, contemporary and romantic fiction. I also read some non-fiction, particularly travel and social commentary. I will review young adult and middle grade books. I am not a great reader of science fiction or horror (with the exceptions of John Wyndham and Stephen King, both of whom I adore) but I never say never. Except to erotica. I have no interest whatsoever in reading that so it is not worth chancing your arm on that genre. I also do not review books for toddler or primary age children and I do not review poetry. I will read hardback, paperback or e-books, provided I can view them on my Kindle or via iBooks. My reviews will always be my honest opinion of the book – the good, the bad and the ugly. I don’t give star ratings on my blog, as I find them arbitrary and I would prefer people to read my full opinions on a book so they can make an informed decision as to whether or not they may like it, since we all enjoy different things. I do give star ratings on Amazon, Waterstones, Goodreads and NetGalley. 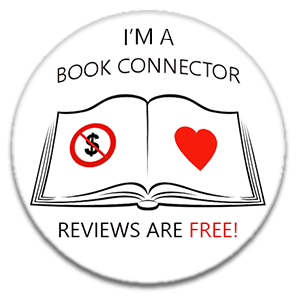 My reviews are also shared on Twitter, Facebook and in certain online book groups of which I am a member. Physical books received may also feature on Instagram. I will not post reviews of books I really didn’t like, as I am not in the business of publicly condemning the hard work of anyone who has the fortitude to complete a novel and have it published. My aim is to publicise and support authors whose work I have enjoyed. If I feel I cannot give a book a public review for these reasons, I will contact the person who supplied it privately with my reasons. I blog and review for fun, and to link up with and support authors and other bloggers only. There is no particular rhyme or reason to the way I do it, no formula and I can’t promise to follow all the ‘rules’ if there are any. Haphazard is probably the word to describe my approach, so please bear this in mind when asking me to review, although if I have committed to reading something or posting for you on a specific date, I will do so without fail. Reliable is my middle name. My reviews are absolutely free, I do not ask for or receive any payment for them from any party. Where links are included in my posts, they are for ease of reference, not for profit on my part. Please see my contact page for details of how you can reach me.